BBC NEWS | UK | Magazine | What are the rules on taping phone calls? What are the rules on taping phone calls? Britain's top policeman is under fire for secretly taping important phone conversations. So what are the rules on recording phone conversations? Metropolitan Police Commissioner Sir Ian Blair is fighting to save his job after secretly taping a phone conversation with a senior minister. He recorded a 10-minute call with the Attorney General, Lord Goldsmith, last September without him knowing, it has emerged. Lord Goldsmith has complained to the Home Secretary Charles Clarke and Sir Ian has since apologised. Sir Ian has also admitted to taping calls with senior officials from the Independent Police Complaints Commission. So if the country's top policeman is being criticised, what are the rules when it comes to recording phone conversations? Sir Ian did not break the law. Under the Regulation of Investigatory Powers Act 2000 (RIPA), it is not illegal for individuals to tape conversations provided the recording is for their own use. Recording or monitoring is only prohibited where some of the contents of the communication are made available to a third party. If a person intends to make the conversation available, they must get the consent of the person being recorded. 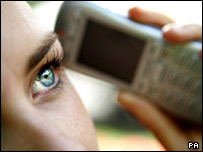 Journalists often record phone conversations but can only use what is said for research purposes if they have not told the person. If they want to publish quotes or broadcast what has been said they need to inform the person that the conversation is being taped. An exception is where there is a public interest at stake. For example, if a reporter suspects a company of giving bad advice over the phone, it would be pointless warning them that they were being taped before getting evidence. secure the effective operation of the phone network. Business don't have to tell people they are recording calls if it's for any of the above reasons, but in any other case - for example, market research - they do. It is not, however, a criminal offence to record a conversation unlawfully - rather a civil wrong which can redressed with a claim for damages. RIPA also governs phone tapping, which the police and security services are can do with a warrant, signed by the home secretary. The number of interception warrants in force by the end of 2004 was 3,101 in England and Wales and further 266 in Scotland, according the latest Home Office and Scottish Executive statistics. I think it entitely appropriate that a senior police figure would have his telephone conversations monitored and that anyone calling them would understand this. After all, if allegations are made about the officer, he/she will have their own evidence and, secondly, it can monitor undue pressure being applied to the officer. To whinge in the way the Attorney General ( a political appointment) has makes me feel he has something to hide. It is for these reasons I believe Sir Ian, on this occasion, has got it right. I can't blame the man for taping this telecom. I would tape ALL my conversations with any politician - and the Attorney General is a political animal. You know how slippery politicos are, particularly when their jobs (= votes) are in danger !! What a fuss over nothing. Can you blame Ian Blair for recording conversations with politicians and other govenment officials ? If I had a meeting with todays politicians I'd want it recording or even videoing for my own protection. I don't see what he's done wrong. There is nothing wrong with recording a conversation for your own use - the fact that this then also provides a detailed aide memoire when dealing with duplicitous individuals or organisations is simply a bonus. I've done it myself several times - it's amazing how a problem can suddenly be solved under such circumstances. I understand that Lord Goldsmith was rather cross and disappointed that his telephone conversation with Sir Ian Blair was taped. Perhaps not as cross and disappointed as the people of Iraq who have suffered as a consequence of his legal advice.